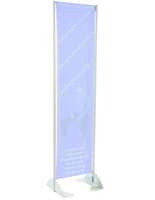 A double-sided 16” x 72” gray permanent banner stand is the most optimal way to make sure that your advertising is seen when used outdoors. 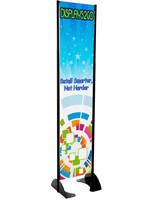 Have your company’s logo, brand, or message printed on both sides of the vinyl flag and display it proudly for all to see! 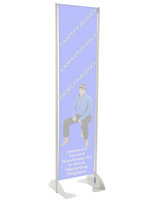 Download the template below to use your own custom graphics with a mountable banner stand. 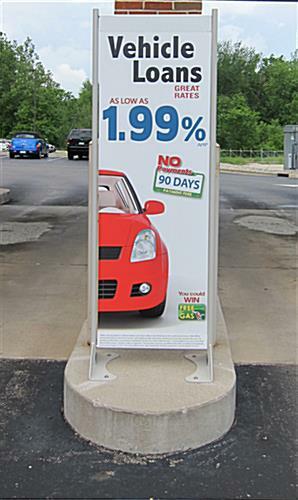 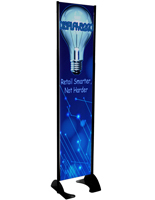 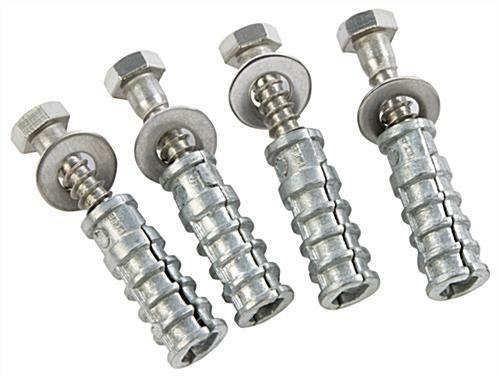 Specifically designed for outdoor use, each advertising fixture can be bolted into any hard surface for steadfast durability. 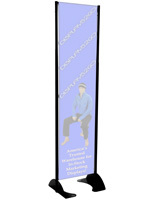 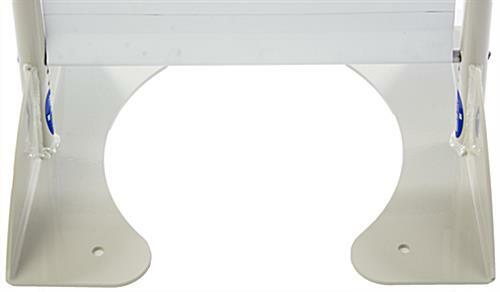 A spring-loaded tension bar holds your graphics snugly in place, while also being able to withstand up to60 MPH winds. 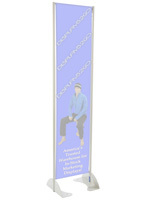 Though marketed as mountable outdoors, the flag holder can also be used indoors as a free-standing display fixture. 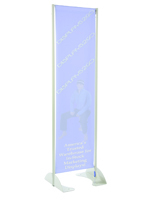 Wherever it is used, each powder-coated gray banner stand puts your double-sided marketing material in front of people and keeps it there in style.